Subtle influence for the design of the Delavan Collection is drawn from the classic look of Art Deco styling. The flared pedestal table base ascends to support the book-matched veneer tabletop. 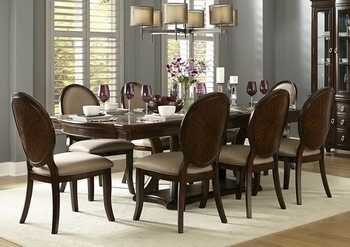 Oval wood-backed chairs feature a complementary radiant veneer pattern and neutral toned padded seats and backs. 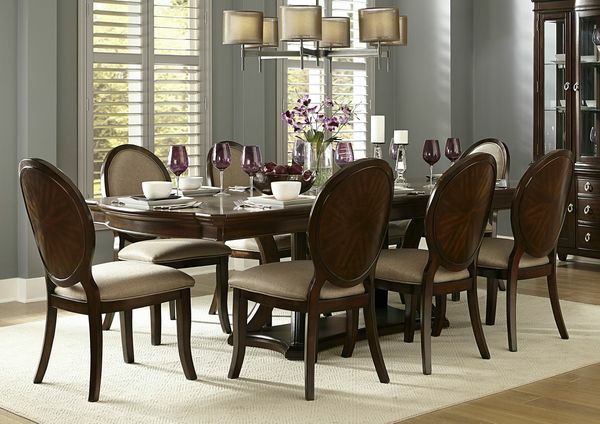 The rich brown cherry finish serves to highlight the exquisite look of the collection?s wood veneer. The collection is shown with the china and server of Keegan Collection. 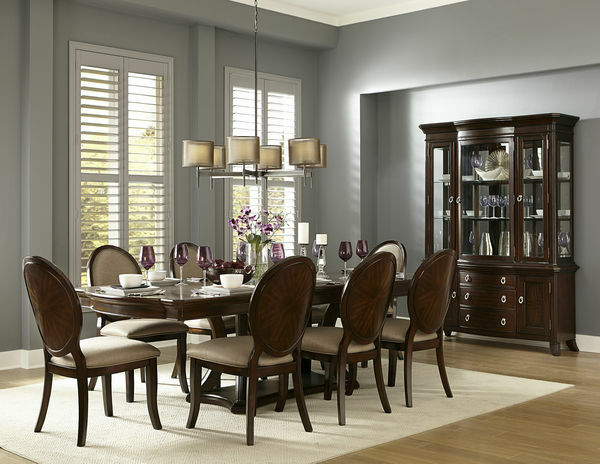 The china cabinet; which stands at attention; not only functioning as a storage facility for all of your tabletop?s finest; but also as the grand centerpiece of this stylish dining offering. For additional storage; or for smaller spaces; the server features wine storage and unique mirror accent that adds a small height to the standard server. Storage features prominently on both pieces.